Product prices and availability are accurate as of 2019-04-24 22:11:46 EDT and are subject to change. Any price and availability information displayed on http://www.amazon.com/ at the time of purchase will apply to the purchase of this product. Quickly dim or brighten up to 10 of your room lights for games, parties, and movies from the comfort of your couch or bed. 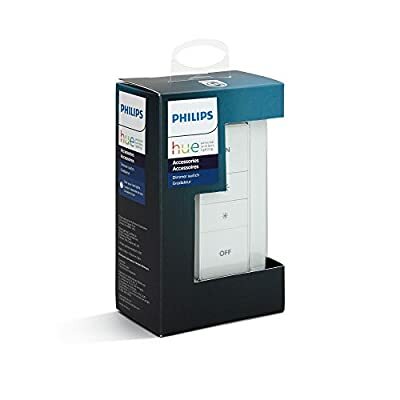 Requiring the Hue Bridge (sold separately) for the full Hue experience, this battery-powered dimmer with remote smoothly and wirelessly adjusts your lights' intensity without any added installation. 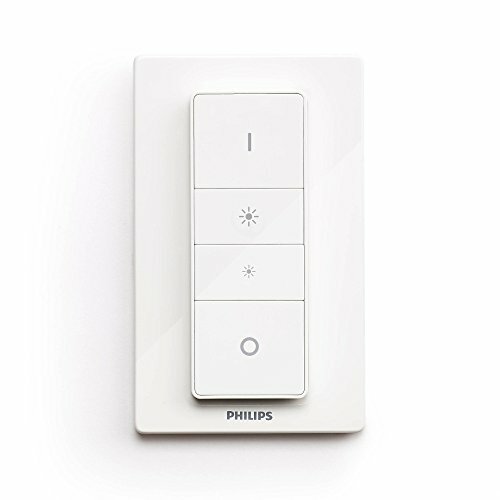 Mount the dimmer anywhere you want with the included screws or adhesive tape and control using the remote or the Philips Hue App with the Hue Bridge. 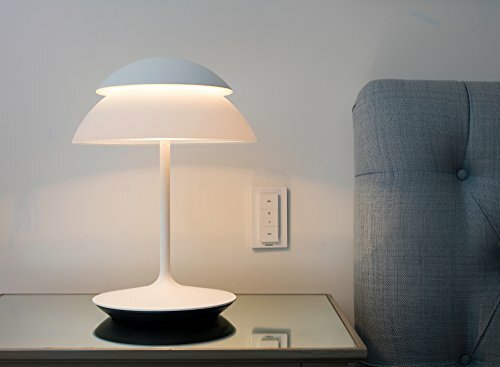 Make it part of your Hue home lighting system with Hue accessories (sold separately) such as the tap or motion sensor. Control by voice with Amazon Alexa, Apple HomeKit, and Google Assistant. 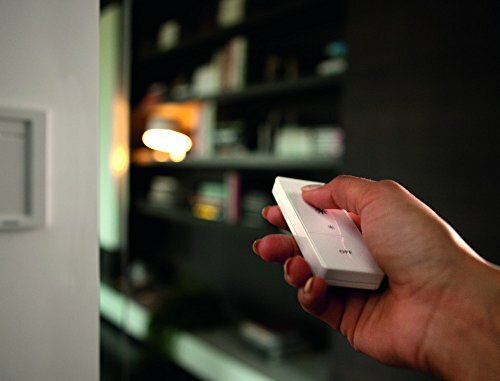 Connect it with your Nest or SmartThings system. Each kit includes one dimmer switch with wall plate and remote, a CR2450 battery, screws, manual, and two-year warranty.